Listening to the 5-song EP from Seattle’s Pocket Panda is kind of like the first time that you see your older brother cry. You discover that burly men with deep voices can get sentimental too. With the band member count clocking in at seven, Pocket Panda is a conglomerate of various influences and talents. Mixing orchestral movements with indie rock, instrumentation ranges from cello to bassoon and piano. Every track starts with a soft, alluring intro, but the tranquility is slightly interrupted by the unexpected raspy vocals of Eric Herbig. It takes a while to get used to the contrast between the vocals, which are usually matched with hard rock or folk music, and the delicate instrumentation. For the most part, Herbig is able to get the tone to a point where it matches the reflective and thoughtful mood of the music. However, there are also times where emotions seem to get too high and the vocals reach a semi-aggressive tone. The harmonizing with a soft female voice helps bring balance and allow arrangements to glide and float into space easily. With the exception of “Problematic Friend,” the strong vocals and melodramatic lyrics make the EP a bit heavy. 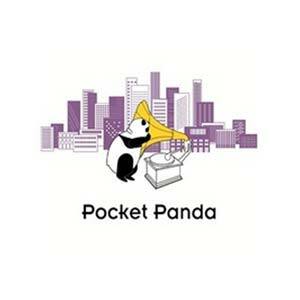 Still, having formed in 2009, Pocket Panda is a young band that is not afraid to experiment. The music is honest and passionate, which can help it flourish into something more cohesive.